If people ask you what the biggest city in China is and you answer "Chongqing", you might be correct. 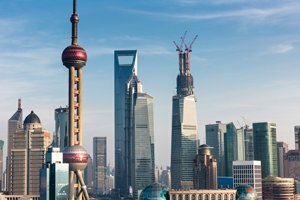 This huge city, both in terms of land size and total population, is near the end of the navigable part of the Yangtze River for large ships. 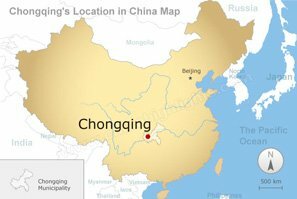 Chongqing was a part of Sichuan Province, but it was made a "municipality" in 1997. In China, a municipality is a big city with a big territory. Chongqing is one of four municipalities in the country. It is a city with a long history, and it was important as an inland port near the rich Sichuan region. Traders came overland or by river. It is located at the place where the Jialing River meets the Yangtze River. 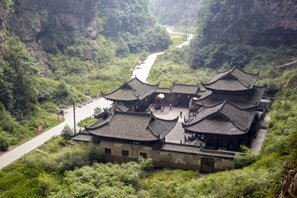 Perhaps because the Chongqing area was out of the usual travel routes, the fragile rock carvings at Dazu and the fragile natural cave scenery at Wulong remained comparatively unspoiled. 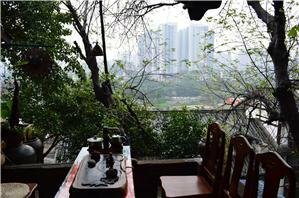 Around the Chongqing urban area, there are some scenic and historical highlights such as Dazu County with ancient rock carvings and art, the rocky scenery at Wulong, the Zigong Dinosaur Museum, the Yangtze River and the 3 Gorges Dam. 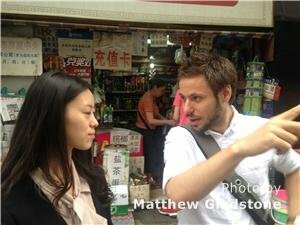 Chongqing’s territory is mainly between Sichuan Province in the north and Guizhou Province in the south. It also touches three other provinces. This gives an idea of about how extensive the territory is. It covers about 82,000 square kilometers, and about 34 million people live in the entire territory. The Chongqing urban area has about 8,000,000 people. This puts it at about the same size as Wuhan down the river. 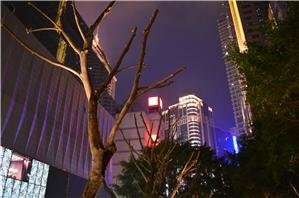 Chongqing is quickly growing. Along with the main city, there are smaller cities and towns. Chongqing Municipality is divided into 38 subdivisions: 21 districts, 13 counties, and 4 autonomous counties. Now it is known as a big industrial city close to oil fields and iron mines that is benefiting from the supply of cheap electricity from the newly opened 3 Gorges Dam nearby that is designed to put out the power of 15 nuclear power plants. It has a big shipbuilding industry and a big automobile industry. The city wants to develop a big hi-tech and electronics industry. The government wants to develop China&apos;s western region that is sparsely populated. People displaced from the dam construction have been moved to Chongqing. The dam produced one of the world’s biggest artificial lakes and displaced hundreds of thousands. 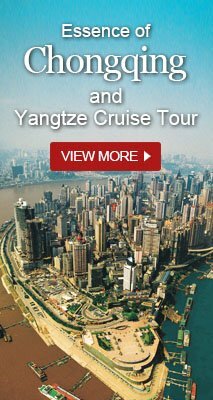 Highlights in the region include seeing the 3 Gorges Dam and reservoir, taking a cruise on the Yangtze, visiting some of the small ethnic towns like Laitan, going to natural areas, and seeing the Dazu frescoes and statues. The ancient art sites in Dazu Country are on the UNESCO World Heritage List. A newly opened-up area for hiking and sightseeing near Chongqing is the Wulong South China Karst that was added to the UNESCO World Heritage List in 2007. There are natural towers of limestone, stone bridges and limestone caves. The area was seldom traveled by tourists until recently. Wulong karst landscape is around 205 kilometers&apos; away from Chongqing. A day trip is possible but a little busy. Contact China Highlights to tailor make a trip to explore this karst region. Visitors can also see giant pandas at Chongqing Zoo. Chongqing is close to the city of Chengdu, which is one of the major habitats of giant pandas. Please click the picture below to see our Giant Pandas Special Report.